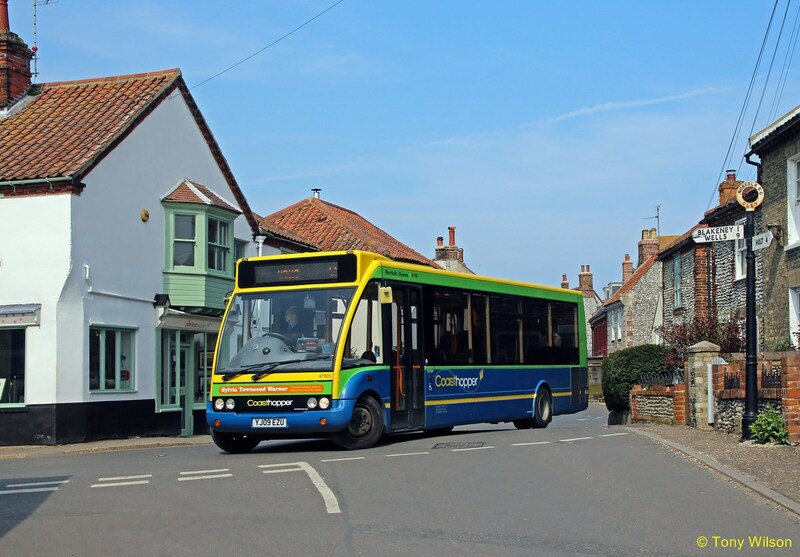 Twenty years ago in 1996, the Norfolk Green company introduced the 'Coasthopper' set of routes that still run today from King's Lynn to Cromer using midibuses. Originally run as three distinct routes CH1 (King's Lynn & Hunstanton), CH2 (Hunstanton & Wells) and CH3 (Wells & Cromer), with a once a day CH4 (Cromer & Norwich), through ticketing was available and passengers could on some occasions, use the same bus to run from end to end. 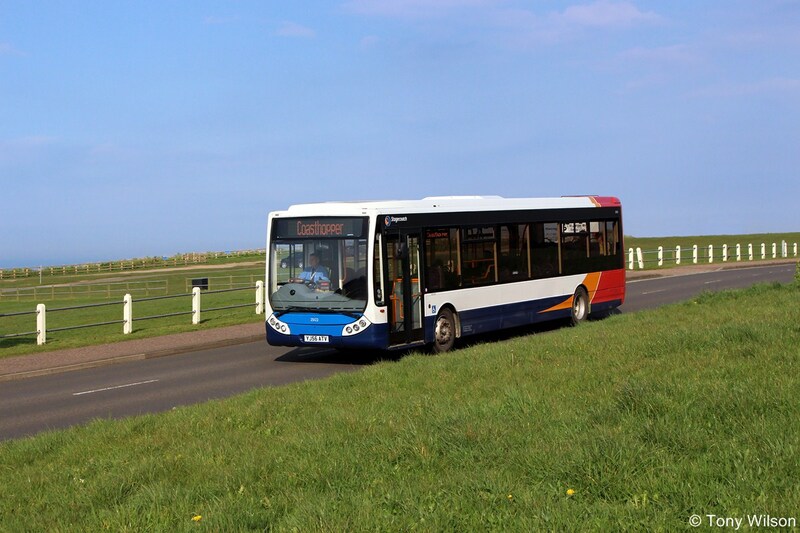 The CH4 was more a positioning route for a bus at the beginning and end of the day during the peak hours. 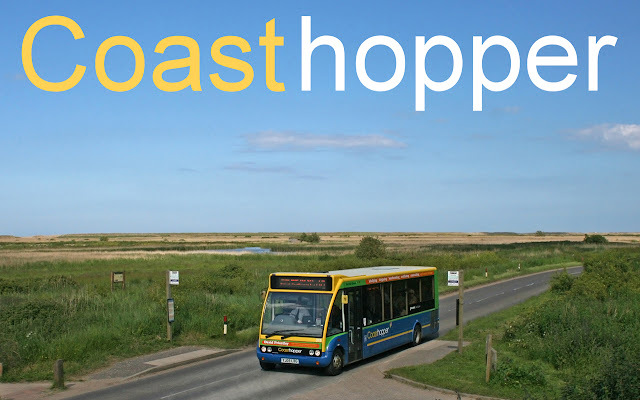 As time progressed and the service flourished a distinctive livery was introduced with a fleet of 09-registered Optare Solos. 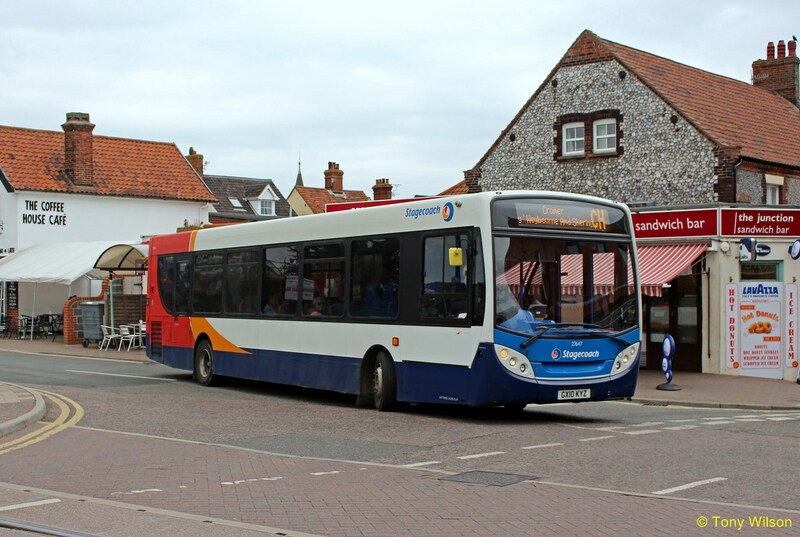 And these have served the route well until the takeover by Stagecoach of the company during 2015. The route numbers CH1-4 appear to have since disappeared and been replaced by just the letters 'CH' in the destination displays. 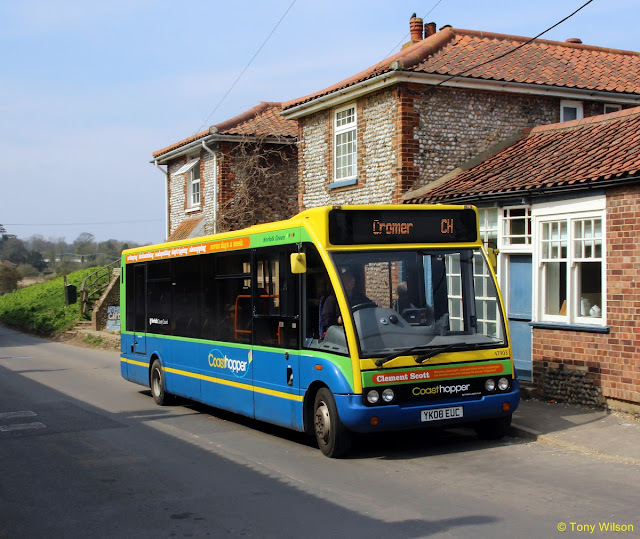 A nice touch about these current buses is they all feature the names of local Norfolk celebrities, as do most of Norfolk Green's buses. 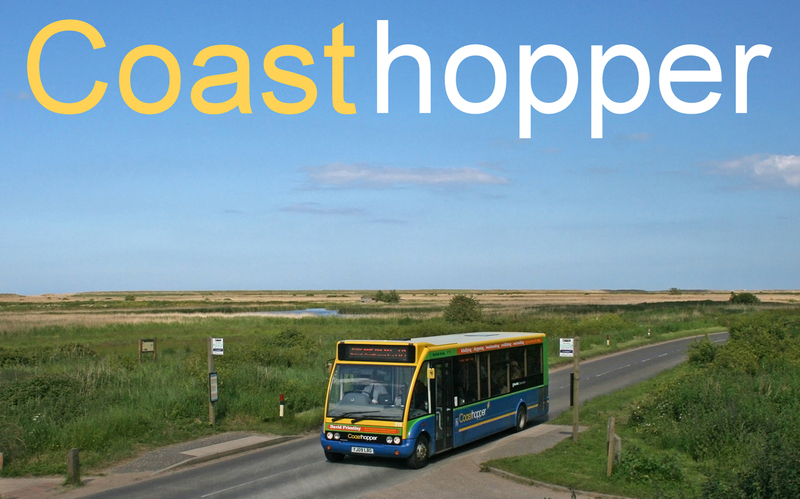 Included are the names of three of the bus drivers who commenced driving on the service back in 1996. But as the New Year turned into 2016 and time progressed it was feared that the colourful pleasant livery would disappear and be replaced by Stagecoach's corporate nationwide livery of red, white, orange and blue. Especially as a selection of such liveried vehicles were making more and more of a presence on the route, including one or two larger buses. However, fears can be allayed as a new fleet of nine Alexander Dennis E20D single-decks with Enviro200 MMC bodywork are due to be allocated to the route in the very near future. 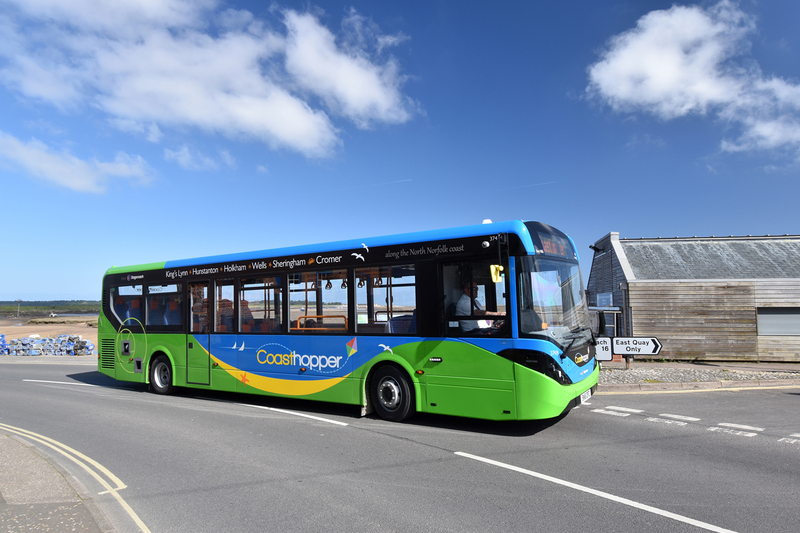 These carry an updated version of the 'Coasthopper' livery and as illustrated here, will be a welcome addition to the coast roads of North Norfolk. Focus Transport is very grateful to Steven Knight Media who have provided this image of the rather nice livery applied to fleet number 37434. 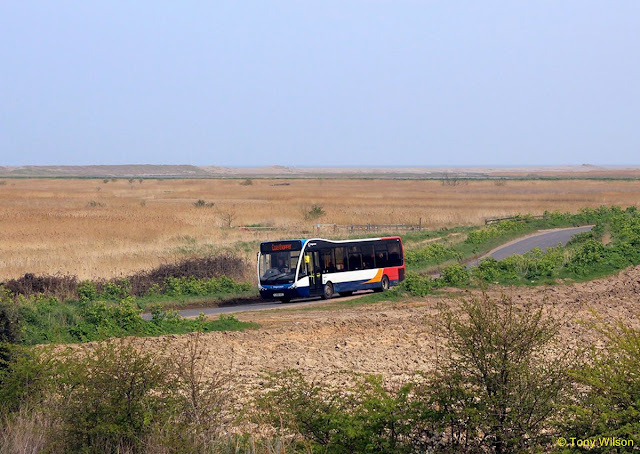 The bus was posed up at various locations in Wells-Next-the-Sea recently, with little visible evidence to suggest that is owned and operated by Stagecoach. But full marks to them for recognising the value of this project and continuation of the efforts that Norfolk Green instigated. In the meantime a selection of Stagecoach liveried buses will continue to provide service along the coast roads until the new buses have all completed their pre.delivery inspections along with driver familiarisation. A few images of the current operation complete this posting.